Here at RecordSetter we're proud of how easy we've made the process of setting records. We look forward to assisting you in your quest to be the world's best! Thanks for getting in touch. Please check out our Frequently Asked Questions below. There's a really good chance you'll find your answer there. If you don't, shoot us an email and we'll get back to you shortly. You can also ask us questions through our Facebook page, reach us on Twitter. Does it cost anything to set a record on RecordSetter.com? Nope. For everyday people, joining our site and submitting records is completely free of charge. In almost all instances, you need to upload video evidence of your record attempt. There are rare instances when photos will suffice. If you'd like to include links to articles, additional photos, etc, put the primary evidence in the main upload section and link to other evidence in the 'story' section of the submission form. How do I submit a record? Do I have to complete any paperwork? No paperwork required. Visit recordsetter.com/submit to view the submission form. How long does it take for my record to be approved? As soon as you submit your record you'll receive an email with a link to your "Under Review" page where you can see your attempt and share it with friends. Our community and moderators will then review the record and it will be marked as approved, failed, or denied. Attempts are generally processed within 48 hours. I want to submit a world record for _____________. Is that ok? Will you accept it? There is no need to contact us before making an attempt. We encourage you to simply submit the record. Provided your attempt is quantifiable, breakable and you have video documentation, we make no restrictions on the types of records we accept. For more details, visit our submit a record page. I received an email asking me to resubmit. Why do I need to do so? When you receive an email from a moderator asking you to resubmit, this means that your video and/or photos did not upload successfully. This is generally due to technical reasons. Please respond to the e-mail directly to resolve the issue. My record status has been changed from Approved to Denied. Why did this happen? RecordSetter is a free-content, openly editable records database. The community collaboratively decides when an attempt should be approved or not. Over time, an attempt status may be updated if there are valid reasons. Disagree? Get involved with the dialogue! What if I'm attempting a really long record? Do I have to record the whole thing? We highly recommend you record your entire record attempt, no matter what the length. You can use a free live streaming service like Ustream or Livestream to record your attempt. Choose to save your streamed video and use that as the media evidence for your record page (just copy and paste the embed code in the "story" section of our submission form). Alternatively, if you can, make a short "highlight" video and submit that as the main evidence and link to the live stream in the YouTube section of the submission form. I think my video is too large to upload, what can I do? Try using the free video compression tool HandBrake to make your video smaller. If that still doesn't work, you upload the file to ge.tt and email us the link along with the rest of the information that's asked for on the submission form. You can see our current job openings at recordsetter.com/jobs. How do I get badge or certificate? You can visit our store for badges, certificates, and other goodies. Can you help me promote my record attempt / event? We'd love to hear about your event and help you spread the word through our social media channels. Email us with more information like the date, location, and sample copy. Will you come to our event to officiate our record attempt? Absolutely. We're available to adjudicate records at live events and have worked with brands such as evian water, Toshiba, and Toyota. 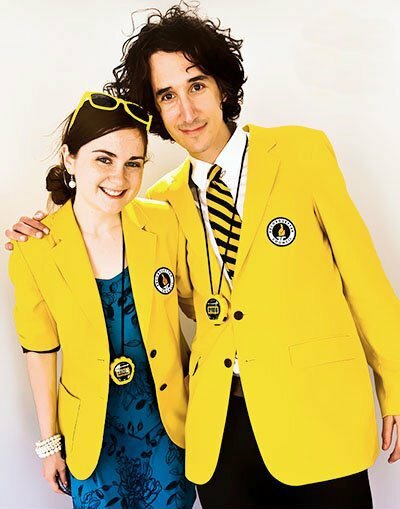 We're based in New York City but have Yellow Jacket Officials around the world. If you're working on a smaller local event outside of the tri-state area, we may not have bandwidth to attend (but we'll always consider!). Email us with details about your event including location, budget, and the record(s) that will be set and we'll be in touch. To add a profile photo, you can use the "Log in using Facebook" link on your edit profile page or go to Gravatar.com and create an account using the same email you use on RecordSetter and upload your photo there. Can I edit my record information / can I add something to my record page? Sure thing. If you need to adjust anything email us with the link to your record and the information you'd like to add or change. How do I log in to my account? It's saying my password isn't correct. You likely tried to log in with the wrong password too many times. Email us with your name and email address and we will unlock the account for you. Will my record be in the book? We don't know. As much as we would love to feature every single record in our book, with the thousands of submissions we get, it's impossible. Don't worry though, all record attempts are posted on our website. Where can I get a copy of "The RecordSetter Book of World Records: 300+ Extraordinary Feats by Ordinary People? You can get a copy of our book at recordsetter.com/book. I have an idea or feedback for the site. Where can I send it? Great, we always love to hear from our community. You can post suggestions to Twitter, Facebook, or email us.